Where does my joy come from today. ... .....traveled all the way to New Hampshire yesterday and had fantastic family time today. Aunties and Uncles and kids, oh my. 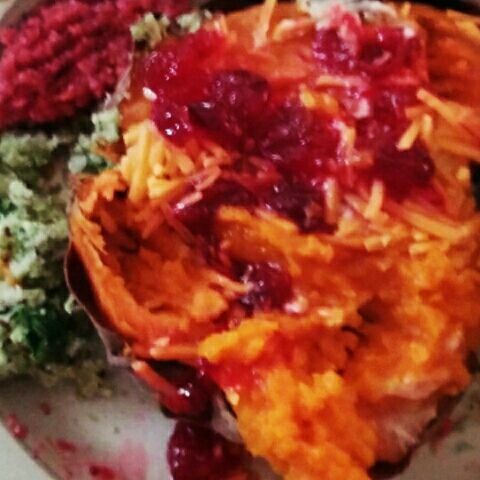 Sweet potato with cranberry sauce? Am I right?? I don't know what that's a picture of, but it looks delicious nonetheless. That is a great Joy!! Family time is always such blessing - especially when it is also fun! And I love NH, so I am happy to hear that you enjoyed your trek there! Family, fun and fabulous food! Awesome! Happy Thanksgiving, Ute!